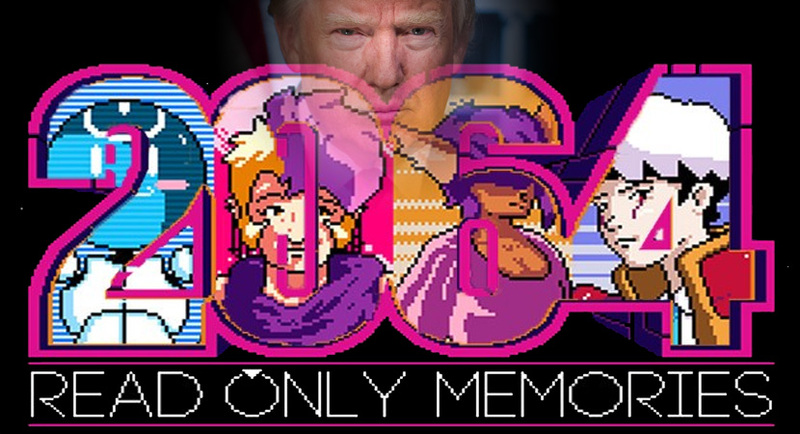 The developers of 2064: Read Only Memories are not happy campers after the Metacritic userbase for their new cyberpunk adventure showed less than favorable reviews. 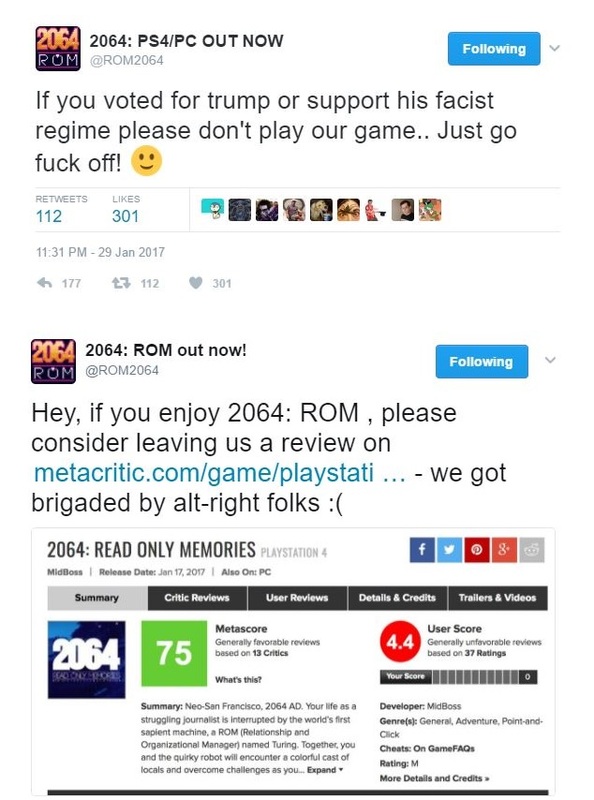 While only three reviews total (as of writing this) showed anything remotely political, they took to Twitter to call out the "alt-right" for the negative reviews. They even claim they were "brigaded" by the alt-right on Metacritic. 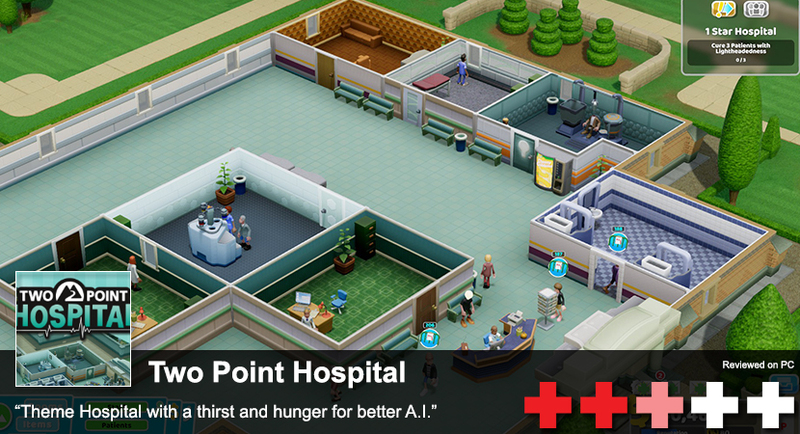 Three of the twenty reviews had a political message from the users. But why would any user even write a user review that's negative based on the politics? What's politics have to do with this video game in particular? Oh. So the developers told half the United States country (and foreign supporters) to not buy their game just because they supported President Trump for the 2016 election. That sounds like something a fascist would say. Not everyone that supports Donald Trump as President is an "alt-right" member or sympathizer of racism. There are members of the alt-right that support Donald Trump. That's not to say all Trump supporters are racists or white supremacists. That's as ignorant as to say all Democrats are Klan supporters because of events like the Klanbake or because they started the Klan. That's an ignorant and stupid thing to assume. Back to the developers, while not directly promoting the idea of reviewing the game, they have thanked others for reviewing the game positively without having said gamer play the actual game. I'm pretty sure ethics should be called into play here like when TellTale's developers gave glowing reviews for Jurassic Park: The Game years back. At least we don't have evidence of them doing something that low. ROM is a meh adventure game, while the setting and stuff were alright for a little while it couldn't really hold my interest. I'd give it a 6/10.